Bathing helps most people relax and de-stress but when you have disabilities the experience can be difficult and stressful. As we get older you are more likely to need extra support in the bathroom. Some of the common problems are maintaining balance and not having enough or the right type of assistance in your bathroom. There is a vast range of bathroom equipment available in the market but it can be difficult knowing which one is suitable to your needs. Premier Bathrooms have compiled a few tips on how to make your bathing experience more relaxing and less stressful. Additional things such as grab bars can make the bathroom more safe and accessible to people with disabilities. Stepping out of the bath and shower can be dangerous if you have a disability. Grab bars provide support and can be installed on the wall or on the side of the tub and other places that you find you need additional support in. They can help with getting in and out of the bath. Grab bars create more independence in bathrooms as it provides you with assistance and gives you more control over your movements. It is important to install them properly and ensure they are stable. To reduce the chances of slip injuries it is important to have slip-resistant flooring. It is available for both the bathtub and shower. If you are looking to install a new bathroom or shower or wet room ensuring it has slip-resistant flooring is particularly important if you have a disability. One of the troubles faced when bathing or showering with a disability is maintaining balance and climbing in and out of baths – having slip-resistant flooring will create a safer bathroom environment. Bathroom specialists that offer walk-in baths and easy-access showers are a great place to start your search for a new bathroom or shower that meets your needs. 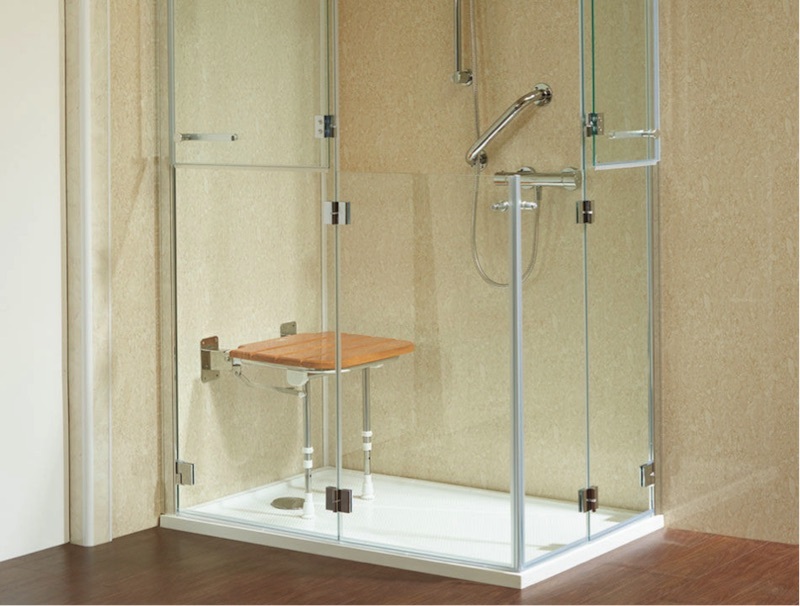 There are many ways to adjust your bathroom, shower or wet rooms to suit your needs. Installing additional things like grab bars and slip-resistant floors will create a safer bathroom environment and allow you to have more freedom in your own bathroom. Ombudsman Services teams up with Sign Solutions to provide the online BSL service InterpretersLive! 1 Comment on "Bathroom safety tips for people with disabilities"
Some great tips, disabled bathrooms should assist and support those with reduced mobility, they should be tailored and customised to their personal needs and requirements.